“Growing up is hard to do,” but that doesn’t really begin to capture the struggle many young adults experience as they deal with the risks and benefits of becoming an adult. While there are some similarities in what each individual goes through, it is really a unique process for each person. But in the process of individuation, you transition from the family’s way or those who are the most influential in your life, to becoming your own individual with your own perspectives, feelings, and ideas. Carl Jung, a Swiss Psychiatrist, describes the individuation process as the struggle to become an adult. It takes a little while. It starts in late adolescence and really continues through your whole life span. We are constantly evolving and figuring out who we are. As adults, if we haven’t separated from our parents, we may frequently repeat the same kind of mistakes as they did. We may have the same kind of dependent attachments in other relationships. Remember when you were a teenager? This is the age when the individual starts figuring out who they are and separates from their role models. In that process, it can be a real struggle because they are not sure how to separate. It really means that they recognize and understand who they are in relationship with, but they react differently than their understanding. They want to grow into their own separate identity. Growing into who they are as an individual involves successes, failures, and frustration. It involves trial and error. It is researching what fits, what they like, what makes them cry, what makes them run away, what makes them stay. It is a life-long process. We introduced you to the Stages of Emotional Development and Mother loss in an earlier blog. We also have written about the 0-6 years and age of loss, the 6-12 years, and adolescent loss. This article follows up on adolescent loss, and in particular, the individuation process. 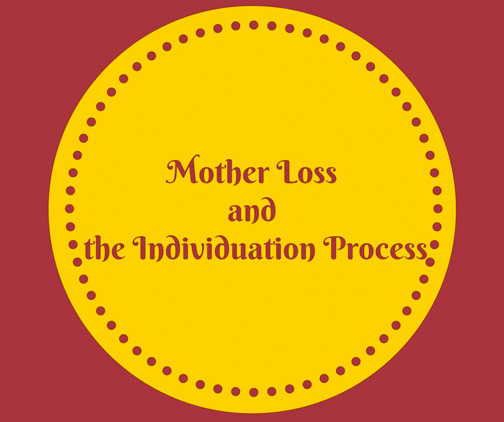 For many women who have experienced mother loss, the individuation process has been stopped. If mother loss occurred before their late teens, they have not gone through that process. They are emotionally stuck. Regardless of whether the mother-daughter relationship has been either extremely positive or particularly difficult, the daughter may not have gone through the individuation process. She can grow up to be a fully functioning adult, but when she is triggered emotionally, her emotional reactions will go back to the adolescent stage. In our experience, women who have lost a mother through death may say, “My mother has died and I don’t know who I am without her.” What this clearly tells us is that her identity is so closely aligned with her mother that she does not have an identity without the mother. The mother’s identity is her identity. The individuation process has not taken place. Many times women who have experienced mother loss through death are constantly searching for who they are. Loss of her mother is HUGE because it is part of her own psyche and personality. One woman said these exact words, “My mother has died and I don’t know who I am without her.” She described her mother as always there for her, ever-present. Upon further discussion, she said her relationship with her mother was so connected that each of them could not function or make decisions without first consulting with the other. The mother had divorced the woman’s father when she was twelve and the two had become inseparable. For many women who have had emotionally absent mothers, their motivation for reaching out to the Motherless Daughters Ministry is their fear of doing the same thing to their children. One desperate woman pleaded to understand the effects of her emotionally absent mother on her so she would not hurt her children in the same way she was hurt. The emotional burden this woman was carrying paralyzed her parenting ability. Women who have experienced narcissism in their family may not have entered the Individuation Process either. The narcissistic mother will not allow them to consider what they want to be. In order to individuate, you need that support from the mother to figure out what you are all about. With a narcissistic mother, you are not allowed to think outside of their world. Very often, these women will have adopted a persona of whatever they need to be to please mother. Inside there may be some real fear about defining who they are. Many times these women will have either self-sabotaging or high achieving behaviors, but finding who they really are is the BIG challenge. If you have experienced mother loss before the late teens, have you gone through your individuation process? Do you know who you are? How does this play out in your adult life? Yes it is. Human development is fascinating. Thanks for your comment. Thank you for explaining the impact on women who have suffered different types of mother loss. This is very helpful! You are welcome. Lori, it must have felt freeing in some ways when your mother died. Some women have shared that the loss was also scary because they did not know who they were without her always telling them. They suddenly found that they had freedom and did not know what to do with it. The tension was like a rubber band snapping. One woman had stretched her rubber band so far trying to run from the narcissistic behaviors of her mother, the snap was jarring. And yes, it is a continual work to keep progressing towards who you want to be. Always know that we are right here if we can support you in anyway. Keep going!